I found the funniest skeleton salad tongs at Target the other day. I decided to pick up a set for my Mother-in-law since her favorite holiday is Halloween. 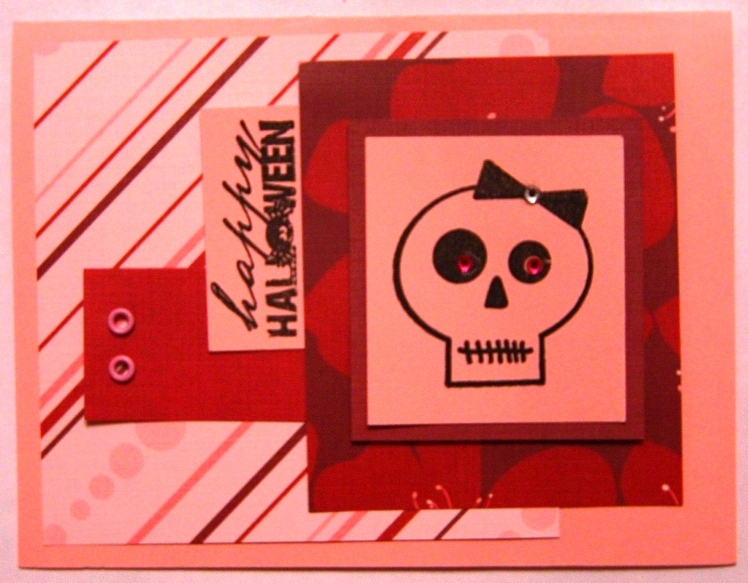 I decided to make a pink skull card to fit the occasion. 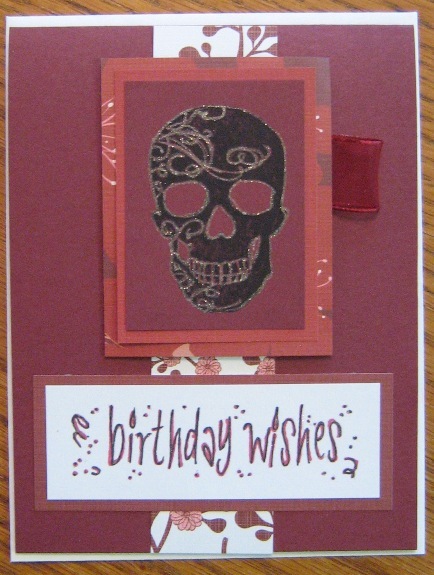 The skull and halloween stamps are from Imaginisce. Who knows where the paper is from! I started by choosing paper with pink in it. This paper also had red, so that determined what cardstock I would use throughout. A couple of pink gems on the eyes and a clear one on the bow and it was all set. The picture doesn’t show the true color well, but you can see the basic idea.